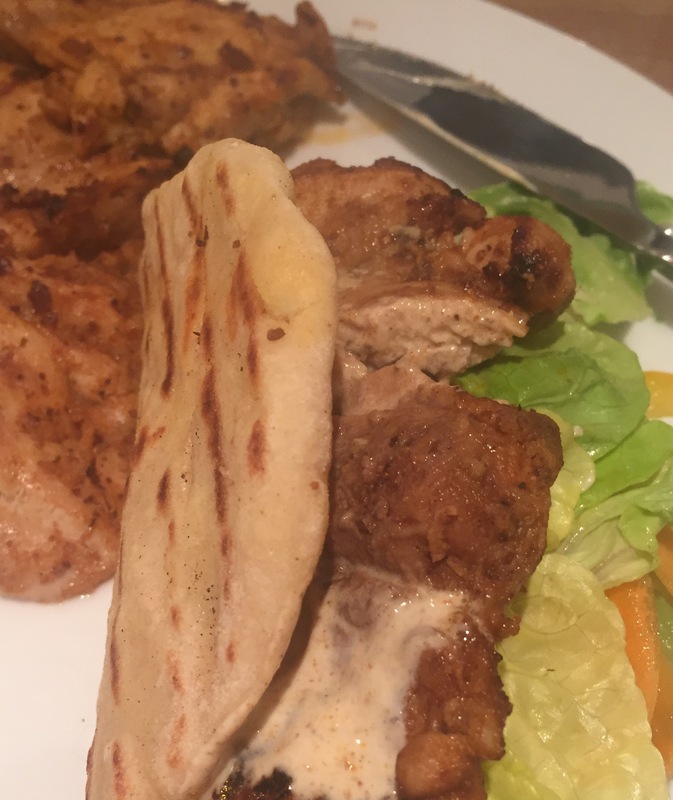 If you love street food, a bit of spice, juicey chicken and crisp salad, this one’s for you. Make it your own with your favourite salad items, a different bread, perhaps, or ditch the yoghurt for a chutney, but this is my favourite way to eat it and my ultimate comfort food. This is such a satisfying supper, or even a weekend lunch for friends – perfect for putting all the extras in the middle of the table and helping yourselves. It is as delicious texturally as it is flavour-wise, and I know that when I’m in the mood for nothing else, this will do the trick. 1. 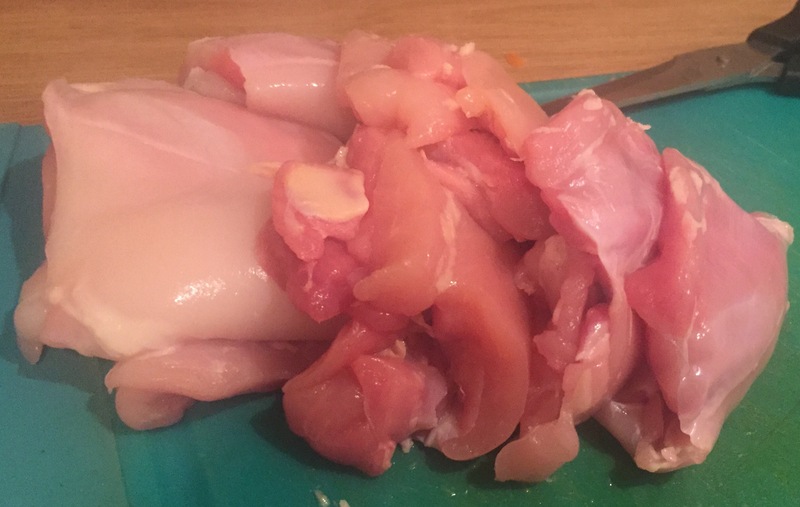 Prepare the chicken thighs by removing any fat and sinew – it’s easiest to do this with a clean pair of kitchen scissors. 2. Grate the garlic and ginger into a medium sized bowl. 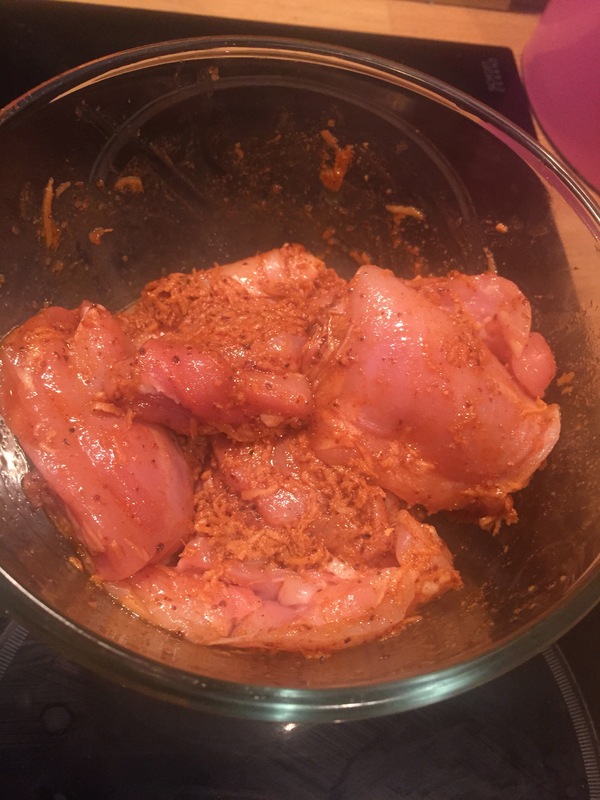 Make the marinade by adding the dried spices, seasoning, lemon juice and olive oil. 3. 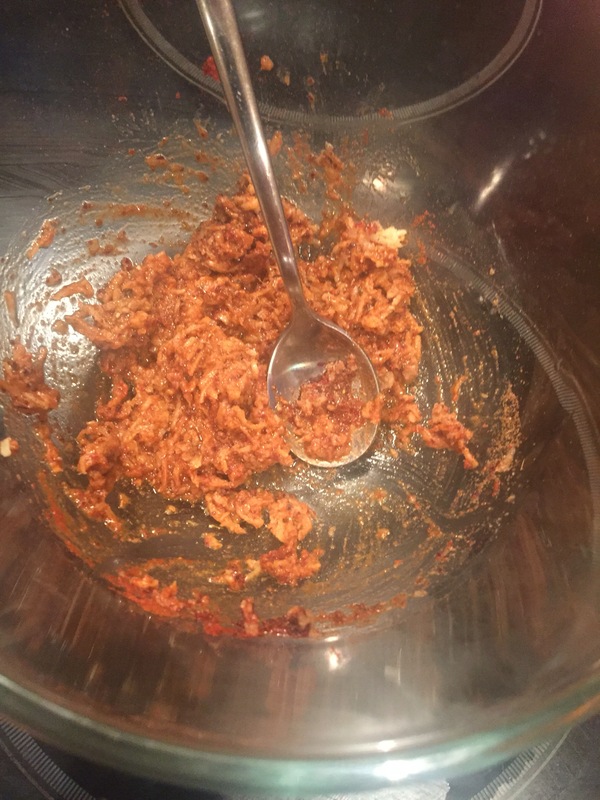 Add the chicken to the bowl and mix everything together. Add more oil if it’s too dry. 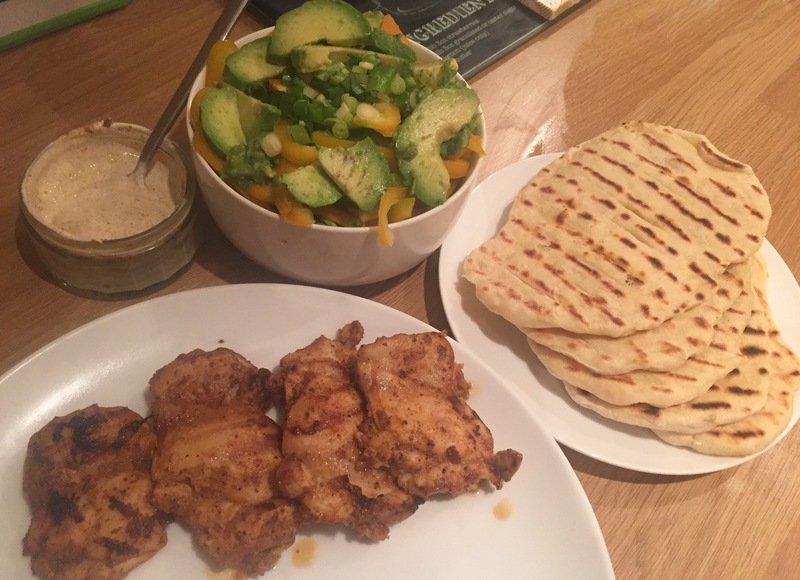 Set aside for as long as you can manage – at least a couple of hours, ideally, but if you’re short on time you can make your salad, yoghurt dip and set the table while the chicken soaks up the flavour. 4. Preheat the oven to 180c and put a griddle (or frying pan if you don’t have a griddle pan) onto a high heat on the hob. 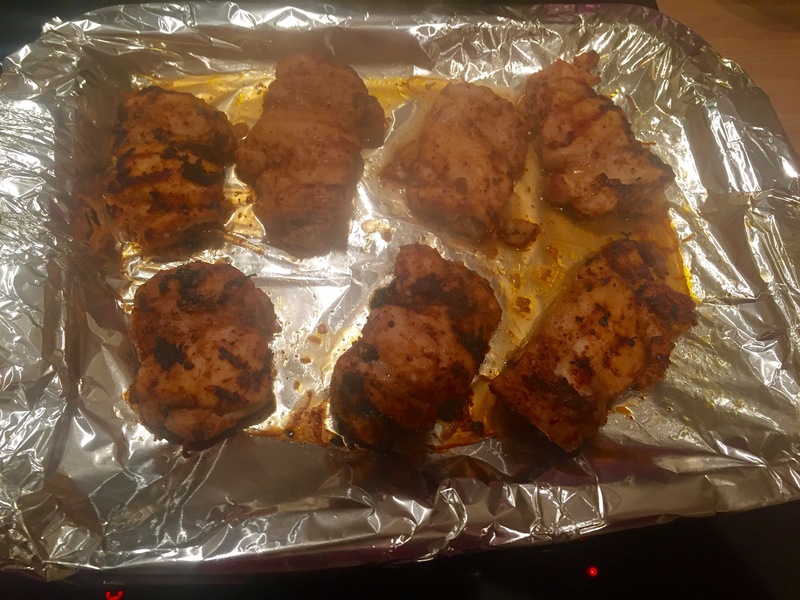 When it’s good and hot, place your chicken thighs onto the griddle, 4 at a time so as not to overcrowd the pan. I really enjoy cooking like this – the smell is gorgeous and you get lots of sticky caramelised edges. When one side is starting to catch, flip them over and repeat on the other side, then place on a baking tray for the oven to make sure they are cooked all the way through. Meanwhile, mix the spices, salt and lemon juice into the yoghurt and that’s that ready for the table. 5. Cook for about 20 minutes then remove from the oven. 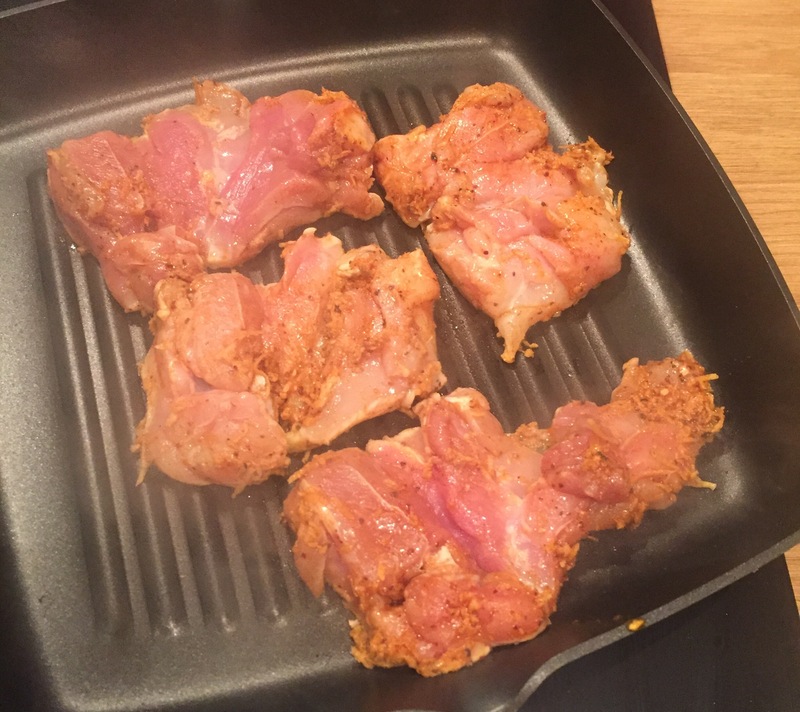 If you’re inexperienced with cooking meat , you may want to cut a piece open to check it’s cooked through. 6. Serve up with the flatbreads, salad and yoghurt dip, and you have yourself the most wonderfully messy DIY sandwich. 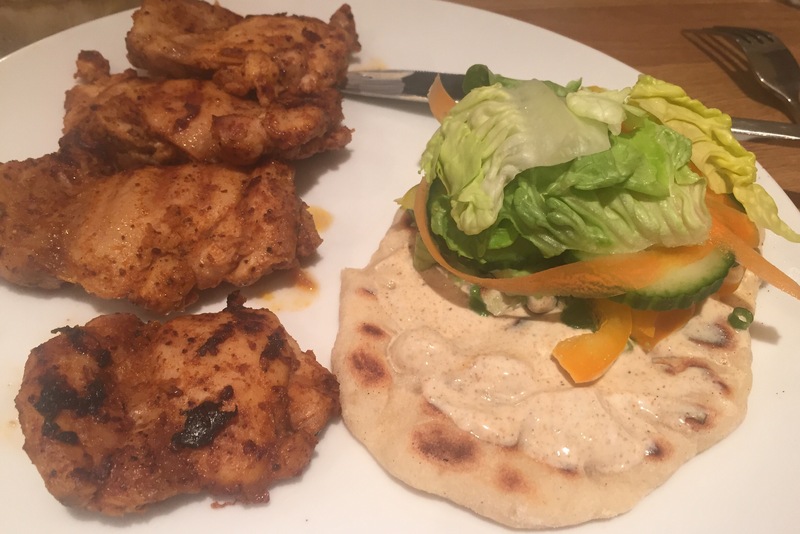 The flatbreads pictured are homemade (and so easy) but you can use wraps or pitta if you’d prefer something shop-bought.